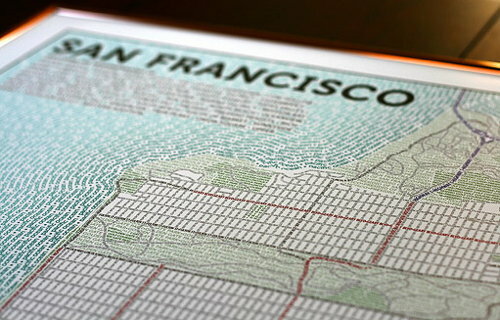 Spatial Analysis’s roundup of typographical maps — that is, maps made entirely of textual elements — includes Axis Maps’s typographic map of San Francisco (above) and Stephen Walter’s incredible hand-drawn map of Liverpool. Via @worldmapper. Previously: Typographic Maps of Boston and Chicago.